U.S. President Donald Trump tried to kill it, but the Trans-Pacific Partnership wouldn't stay dead: less than two years after America withdrew from the landmark Pacific Rim trade deal it once saw as key to an Asian trade strategy, six of the remaining countries have ratified, bringing it into force. U.S. President Donald Trump tried to kill it, but the Trans-Pacific Partnership wouldn't stay dead. Australia became the sixth country to do so Wednesday, filing its official notice with New Zealand, the country that's acting as the depository and keeping track of its implementation. "The signal that it sends to the rest of the world that there's a new rules-based order out there in the world that people can buy into if they want as an incredibly powerful signal at this particular time," David Parker, New Zealand's minister of Trade and Export Growth, told reporters. Earlier this week, International Trade Diversification Minister Jim Carr said it was important for Canada to be among the first six to ratify in order to have "first-mover advantage," enjoying better access and lower tariffs in key Asian markets the U.S. will not have as a result of the Donald Trump administration's decision to pull out. It's also another way Canada hopes to diversify its trade, with a longer-term goal of less reliance on U.S. consumers for Canadian goods and services, particularly at a time when the U.S. is a less friendly trading partner than it used to be. The remaining signatories — Brunei, Chile, Malaysia, Peru and Vietnam — will not benefit or be bound by the deal's measures until they finish their ratification processes. Some want to participate soon, however: Vietnam is expected to ratify next, in November. Malaysia's Prime Minister Mahathir Mohamad said he was still weighing its benefits. Even without the U.S. involved, the 11 countries in the CPTPP represent about 13 per cent of the world's gross domestic product. Should America reconsider and negotiate its re-entry down the road, the CPTPP bloc would be 40 per cent of global GDP. "As protectionist moves strengthen across the world, the importance of free and fair rules is growing more and more," Japanese Economy Minister Toshimitsu Motegi told a news conference in Tokyo Wednesday. 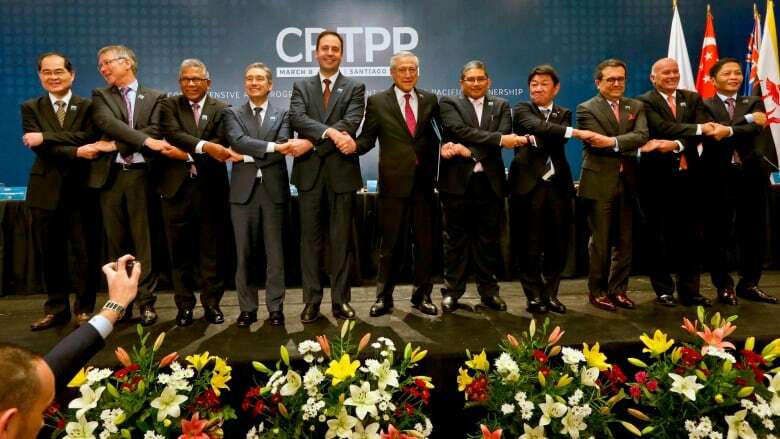 Questions remain about the compatibility of some of the CPTPP's automotive measures with the newly renegotiated terms for the North American car industry in the not-yet signed and ratified U.S.–Mexico–Canada Agreement. Canadian parts manufacturers in particular believe that the CPTPP is a bad deal, with Japan gaining relatively more access to Canada and Mexico's consumers and supply chains than it gave up in its own heavily protected industry. 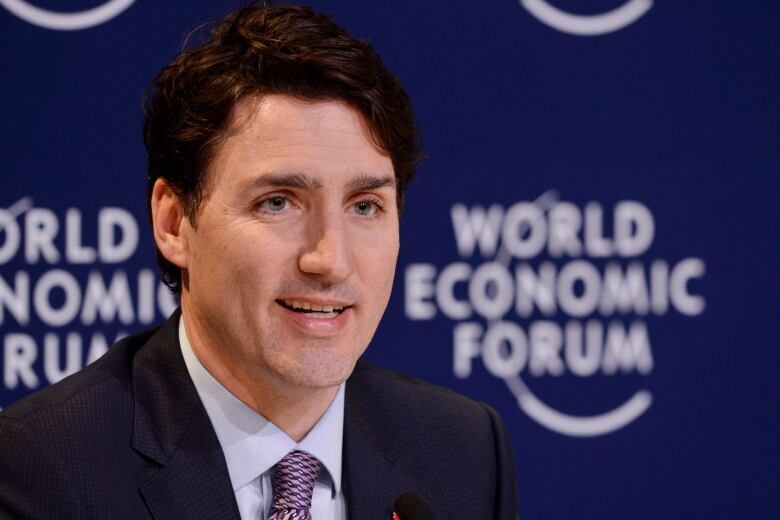 In combination, however, the two deals are intended to help Canada and its partners retain strategic advantages for their supply chains over the increasing competitiveness of China's industry. Even after the U.S. left, the same level of access to Canada's supply-managed agriculture markets remained in the CPTPP text: roughly 3.25 per cent, in the case of the dairy industry. While shipping logistics may make it impractical for all of this new Pacific Rim quota to be taken up (fresh milk and eggs ship less easily across the ocean than nearby land border crossings with the U.S.), significant amounts of dairy products are expected to enter Canada under this deal — especially from New Zealand, where one massive player, Fonterra, has an effective monopoly on that country's production and aggressively pursues global dairy markets. Taken in combination, Canadian dairy farmers say that the CPTPP, USMCA and Canada's trade agreement with the European Union amount to nearly 10 per cent of the Canadian market handed over to farmers from other countries. They warn their industry's now at risk of "death by 1,000 cuts." The Canadian government has not announced any compensation for the dairy sector for what it's losing once the CPTPP kicks in. Working groups have been formed to consider not only compensation but the future of the supply-managed agriculture business generally in light of the USMCA. Carr said Wednesday these discussions are still underway. "Close to 60,000 jobs in Canada will be put at risk by the TPP," NDP Leader Jagmeet Singh told reporters. Yet despite now being only 60 days away from implementation, "we don't see any measures in place." any sort of solution with respect to that." Conservative international trade critic Dean Allison pointed out that the previous government had a compensation plan ready to go when the original TPP text was announced in 2015. "I think the farmers would like to understand what that may look like," he said. "Better late than never," Allison said. "It would have been nice if we could have done this earlier."